Weathering is the breaking down of rock into sediments (like sand, pebblies, silt, and clay) by the weather,either physically or chemically. Once rock is broken down into sediment, it is carried away. This processes of carrying sediment away is called erosion. After rock has been weathered and eroded, sediment comes to rest (or is deposited). An example of deposition can be seen on the picture to the right. The Mississippi river carries sediment all the way to the mouth of the river where it comes to rest. 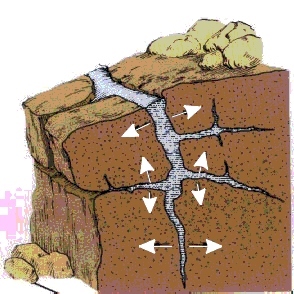 This is called a delta, and A delta is an example of deposition. 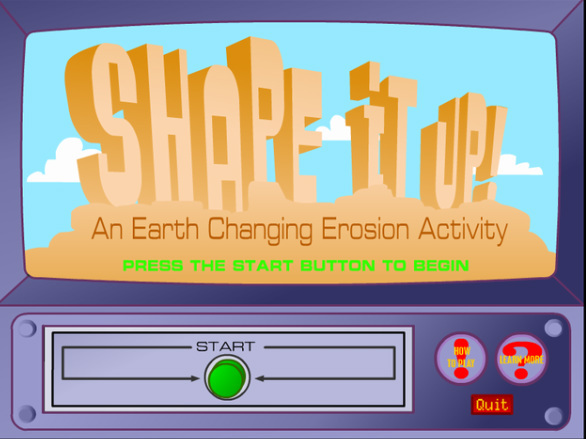 SHAPE IT UP EROSION GAME!